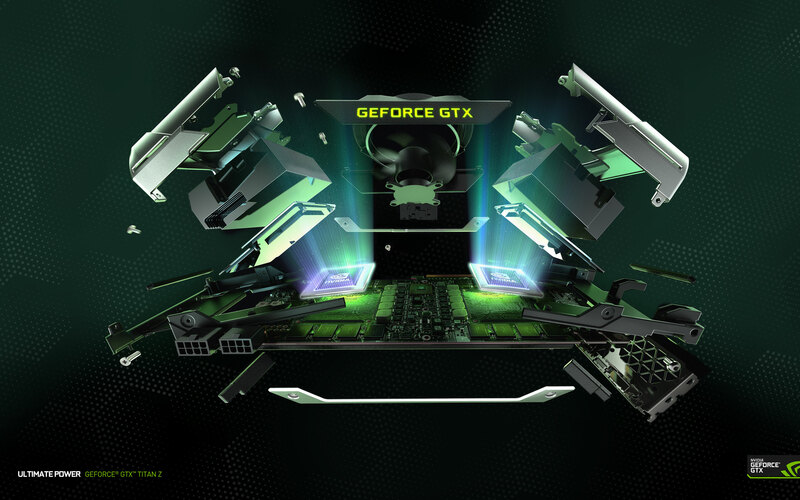 An interesting article has been written by Videocardz which points out that NVIDIA might be preparing four GM204 GPU SKUs for their next generation GeForce Maxwell graphics cards. NVIDIA’s GeForce Maxwell line graphics cards which will feature the GM204 GPU such as the one which was recently leaked is reported to launch in the next few months but the GM204 GPU featured on the graphics card might not be the only one of the entire GeForce Maxwell stack. If we take a look back at things NVIDIA did with Kepler, the report might actually be valid considering NVIDIA’s GeForce 600 series has three GK104 (GeForce Kepler) based GPUs for the GeForce GTX 680, GeForce GTX 670, GeForce GTX 660 Ti and two GK114 (GeForce Kepler Revision) GPUs for the GeForce 700 series cards including the GeForce GTX 770 and GeForce GTX 760. Based on the 28nm Kepler architecture, the GK104 has spanned quite some time as NVIDIA’s top-end to mainstream chip in the market before being replaced by the faster GK110 graphics processor which was unleashed with the GeForce GTX Titan graphics card back in February 2013. If true, then this would mean that the GeForce GTX 880 won’t be the fastest graphics card in the lineup which will pave in room for the GeForce GTX 880 Ti. Its hard to confirm whether this part will actually launch and even more harder to tell whether the differences will exist in the core configuration or clock speeds. Judging from the parity in core configuration of GeForce GTX 780 Ti and GeForce GTX 780, we can say that the core count will be lesser on the non-Ti variant and even further toned down in the lower models (e.g. GeForce GTX 870/GeForce GTX 860) which will be done to offer more competitive priced parts. All GPUs will feature the second generation of GeForce Maxwell core architecture and will be launched in between Q4 2014 and Q1 2015 while the GeForce GTX 880 will hit shelves during Summer (Q3 2014). More details on the GeForce GTX 880 can be found in the previous analysis of the PCB itself. So all this concludes the the era of the GK104 will finally come to an end just like AMD’s Tahiti is going to be replaced by Tonga in August 2014. Both GPUs have served a span of over two years in the graphics industry and we can hope their successors will be a true replacement for these glorified cores. NVIDIA’s GeForce Maxwell Revision Rumored To Be Based on 16nm Process – Ditching 20nm? The second and first generation Maxwell details are starting to get uncovered but there’s a revision of the NVIDIA GeForce Maxwell cards which is already under plans. Now before beginning, all of this is just plain old rumor from Semiaccurate who have been inaccurate regarding Denver and Sea Islands in the past but they do get some pieces right so for your own best, take this with a grain of salt. NVIDIA’s GeForce Maxwell was known to be a 20nm part since its announcement a couple of years back however due to process delays from TSMC, this led to a change in NVIDIA’s schedule hence the first generation Maxwell core which launched as the GM107 GPU didn’t arrive as a 20nm unit but rather based on the existing 28nm die process which has been running since 2012. While TSMC has 20nm production geared up now since their Apple 20nm production quota has been finished, the company is going to stat manufacturing 20nm units for the rest of the industry which includes AMD and NVIDIA in the graphics industry. Now there have been reports that the first generation and second generation cores from Maxwell may not be built on 20nm and use the existing technology which is 28nm process. According to semiaccurate, after second generation of Maxwell ships to the market, NVIDIA will have a third generation of Maxwell GPUs on the verge of launch. It will take around 6-10 months time frame for NVIDIA to have these new cards ready since they will include the flagship GM200 GPU which replaces the GK110 but the new cards will be built on a 16nm process technology, entirely ditching the 20nm process. This also points that another revision of the GM204 would launch when NVIDIA introduces the far-from-launch “GeForce 900 series” (Not Official Name) which will include the revised Maxwell GPUs. The GM204 is currently available in revision A so it could either mae a transition to “B” revision or a name change “GM214” could be possible similar to GK114 from GK104 or both?